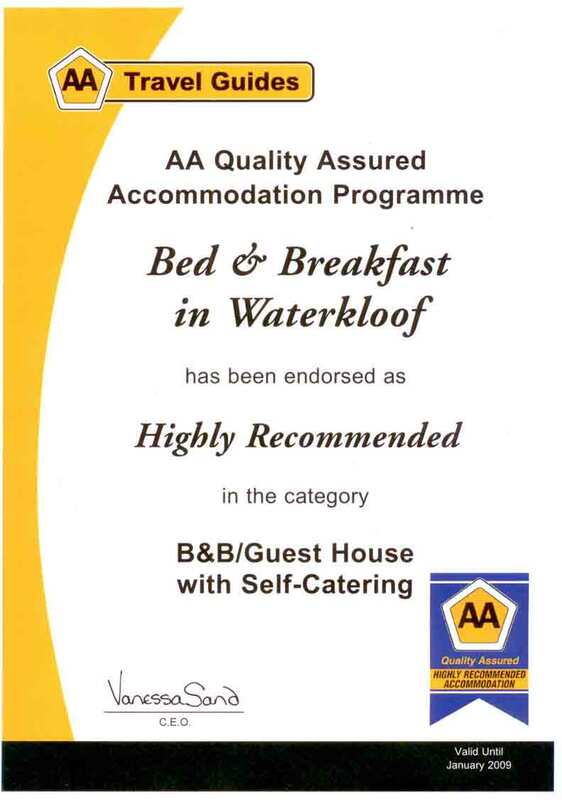 All our rooms are serviced with pressurised solar geysers as of 20 May 2014. 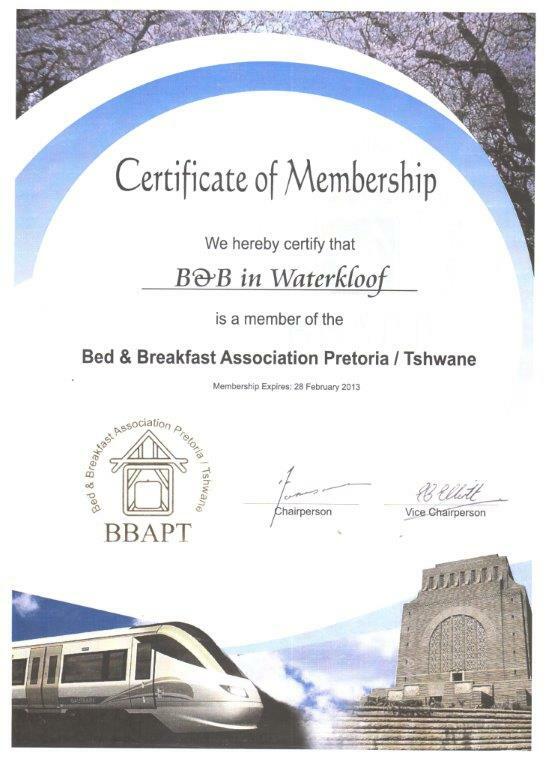 We are registered with the Bed & Breakfast Association of Pretoria/Tshwane. 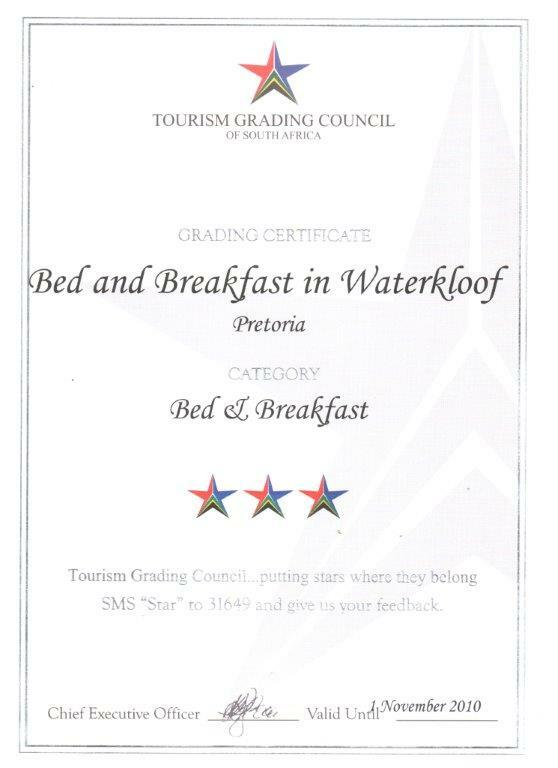 We have been graded as a 3 star Bed & Breakfast establishment by the Tourism Grading Council of SA.